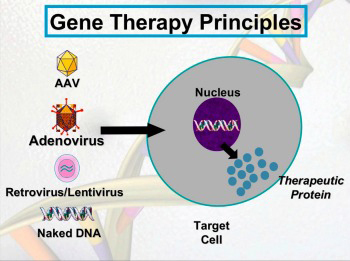 The dream of gene therapy is becoming a 21st century reality. Ever since the advent of recombinant DNA technology in the 1970’s, fixing defective genes has been thinkable. Now it is doable. Gene replacement therapy is the most promising gene therapy for individuals with Barth syndrome. A functional tafazzin gene is added to many of the cells of the body and compensates for the native dysfunctional tafazzin gene – the cause of Barth syndrome. 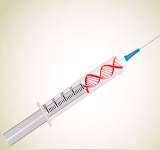 Gene editing (eg, CRISPR technology) is another type of gene therapy. The dysfunctional gene is fixed within its chromosomal location. This therapeutic approach, however, is not likely to be useful for Barth syndrome. Each Barth syndrome individual has a different and distinct mutation in their tafazzin genes which may be inherited. Gene editing would require a hand-crafted, specific pharmaceutical for each individual and any affected relatives. Gene replacement therapy, or adding the same, fully-functional tafazzin gene to each Barth syndrome individual, holds the most promise. 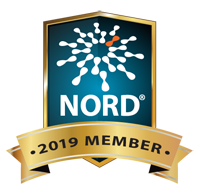 The Barth syndrome gene therapy clinical research team is led by Barry Byrne, MD, PhD and includes W. Todd Cade, PT, PhD and Christina Pacak, PhD. Dr. Byrne is the Director of the Powell Gene Therapy Center and Professor in the Department of Pediatrics at the University of Florida College of Medicine. Dr. Cade is Professor of Physical Therapy & Medicine at Washington University School of Medicine and Dr. Pacak is Assistant Professor in the Department of Pediatrics at the University of Florida College of Medicine. Dr. Cade has overseen large clinical studies identifying clinical and physiologic outcome measures in both children and adults with BTHS, and Dr. Pacak has overseen pre-clinical proof-of-concept testing of BTHS gene therapy vectors. 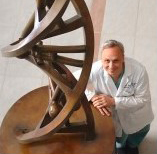 Dr. Byrne was a member of the BSF Scientific and Medical Advisory Board and is a leader in the fields of gene therapy, Barth syndrome, and other rare diseases. Dr. Pacak presented at the 2018 BSF conference describing the vectors that will be used for any clinical trial. The details of if and how a gene replacement therapy clinical trial for Barth syndrome are being developed and regulatory approval will be sought. Enrollment may be 1.5 to 2 years away. BSF commits to keeping our community informed on our progress towards a clinical trial. While we are closer to realizing the potential of gene replacement therapy as a viable treatment, there are many questions still to be answered by the teams developing these therapies. Below are some FAQs that may help you understand this potentially revolutionary therapy. Please send your questions so BSF can list them and answer them here. What procedures are involved in a clinical trial for gene replacement therapy for Barth syndrome? A vial containing a solution of the engineered viral-vector that has only the functional human tafazzin DNA, will be administered intravenously (into the bloodstream) over the course of a few hours. Afterwards, the individual will be monitored for several hours to make sure there are no immediate problems such as an adverse reaction to the treatment. The individual will then return home and carry out their normal activities. Over at least the next year the individual will be tested periodically to determine if the treatment is effective. Is gene replacement therapy permanent? It is anticipated that a single injection should confer life-long benefits, but because this technology is so new it remains to be proven. Will my son be able to participate in other clinical trials if he/she has received gene replacement therapy? It is not anticipated that treated individuals will be able to enter any other clinical trials for a few years because the effects are considered to be long-lasting. If the gene-replacement therapy fails to show a benefit, then the clinicians directing other clinical trials will have to determine your child’s eligibility.